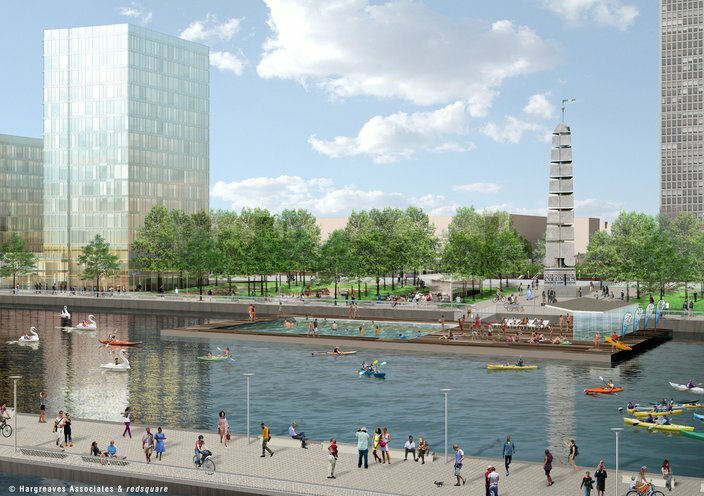 A rendering of the Penn's Landing cap and civic Space, looking west. A large-scale redesign of Penn's Landing is one step closer to reality thanks to a $4 million grant newly awarded to the Delaware River Waterfront Corporation. 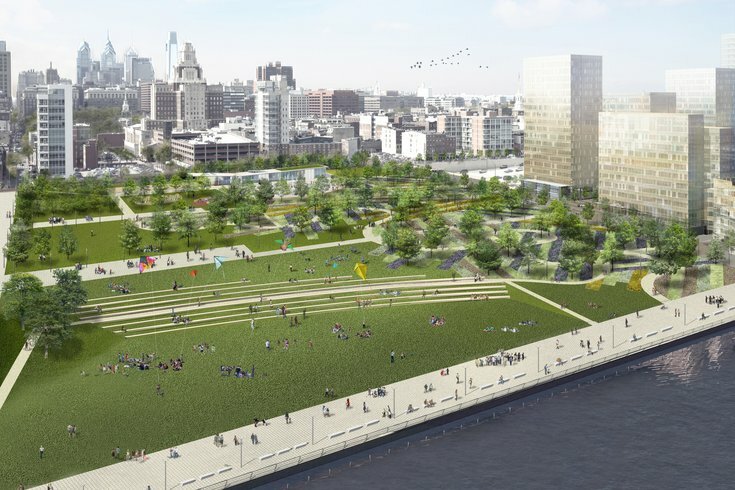 The John S. and James L. Knight Foundation awarded the DRWC $4 million to help complete a public park over I-95, designed to drastically change the landscape of Penn's Landing. Check out some renderings of the redesign here. A portion of the grant will go toward supporting city engagement with the project, the DRWC said, while the other portion will support the project's overall fundraising goal. Other institutions within Philadelphia, including the mayor's office, the William Penn Foundation, and PennDot, among others, have already pledged millions of dollars to the redesign, helping the DRWC meet its $225 million fundraising goal set last year. As the DRWC inches closer to the project -- preliminary engineering and design aren't scheduled until next year -- the end goal is to better connect the city to the waterfront, which is currently hindered by the highway. Rendering of the I-95 park project with connections to and from Center City. This photo depicts the rendered view of the Penn's Landing Basin looking west. The project is one of several initiatives the DRWC is spearheading. In addition to constant promotion of events and programming, the organization is undergoing a transit study and action plan to improve access to and from the waterfront. The DRWC opened a survey to those who may not visit the waterfront very often. News of the grant also comes shortly before the opening of Cherry Street Pier, the new artist collective and mixed-use space that kicks off with a three-week festival Friday, Oct. 12.